It was only a matter of time before Lucas “Chumbinho” Chianca won a WSL Big Wave Tour event. 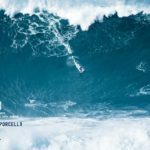 But just a handful of big-wave cognoscenti could have predicted that a 21-year-old ingénue would win the Nazaré Challenge, whose host wave is one of the world’s most punishing. But Chianca, as his fans know already, doesn’t merely survive waves like Nazaré, but thrives, mightily. He rips lines up and down wave faces the way that some people would surf, say, Australia’s Snapper Rocks. Chianca and Burlé, after the win.WSL / LAURENT MASURELIn the realm of riding giants, Chianca’s approach is remarkable, if not wildly innovative in a milieu that, by definition, pushes boundaries already. Sunday at Nazaré, for example, he was practically throwing floaters at a 20-foot lip-line. Chianca, in fact, was practically born to surf the big stuff. His father, the original Chumbo (which means lead in Portuguese), started towing his talented son into heavy waves near their home in Saquarema, Rio de Janeiro, when Lucas was just 12. Today in Nazaré, those early beginnings clearly came into play. 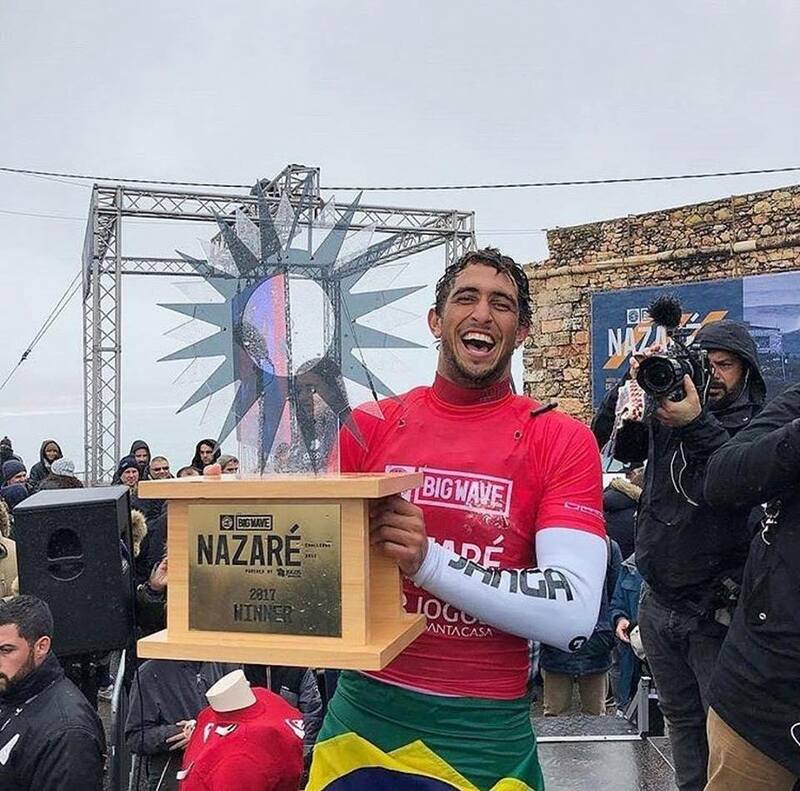 But along with anointing Chumbinho (which means, loosely, “little lead”) one of the preeminent talents of his generation, his win at Nazaré Sunday is also a passing of the big-wave torch. The first time this event ran, in 2016, seasoned Australian surfer Jamie Mitchell took the win after totally dominating the among a roster of heavy-water greats. 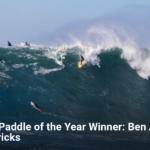 This time around, however, Mitchell lost in the Semifinals, leaving Chianca to battle another young talent, Maui’s two-time Pe’ahi Challenge winner Billy Kemper, to the end. For Chianca, there was another element of his ascent that underscores the imperceptible — but unmistakable — generational shift that gripped Nazaré throughout the event. It marked a first for him, but also a last for his mentor, Carlos Burlé. A fellow Brazilian who pioneered big-wave surfing and rose to become a world champ, Burlé retired last year, but competed at this event as an end-of-career victory lap. While Burlé’s run at the Nazaré Challenge ended in Round One Saturday morning, Sunday was the poignant dawn of a new era. In the chilly waters of the Atlantic, it was the protégé’s time to shine. Heat 4: Tom Lowe (GBR) 15.10, Grant Baker (ZAF) 13.84, Ian Walsh (HAW) 12.90, Nic Lamb (USA) 11.43, Antonio Silva (PRT) 6.06, Kealii Mamala (HAW) 5.00.